If you suffer from flat feet or a high foot arch, don’t worry you aren’t alone. Surprisingly, only approximately 30 percent of the population have a normal or neutral foot. The best arch support insoles will make your shoes more comfortable while providing extra support and pain relief as you walk or run. If you have high, low or fallen arches a shoe insole can help to balance the pressure placed on your feet and many can improve your posture too. It’ll make wearing those flat shoes for work or training shoes in sport much more bearable. Let’s look at how to determine which type of support your arch needs before selecting some of the best arch support insoles you can buy today. 100 percent antimicrobial polyester insole with Variable Cushioning Technology and EVA foam base. 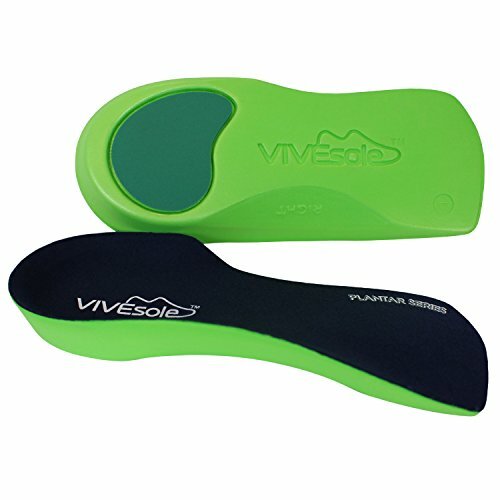 Firm arch support and angled exterior to avoid pronation. In a wide range of sizes with only the occasional trimming of edges needed. Rigid high-arch insoles which can be molded in the oven to custom fit your individual arch—ensure you follow the manufacturer’s directions. Mid-volume medium thickness footbeds to fit most shoes. Designed to be trimmed down to size so choose the next size up when ordering. Full-length orthotic inserts with arch support. Dual-base layered high performance EVA foam for shock absorption and comfort. Ergonomic non-slip design for correct foot posture with deep heel for stability. Podiatrist-designed arch-support shoe insert for flat feet. Gently corrects the pronation of low or fallen arches. Available in many conventional shoe sizes to be used straight from the box—no cutting or trimming required. Cushioned support with EVA foam in three-quarter length arch-support insole. Offers relief from plantar fasciitis and flat feet and fallen arches. Available in five sizes and can be trimmed for a comfortable fit in any shoe. Many people don’t realize if they’re suffering from stiff feet and if the stiffness is throughout the entire foot it could be a problem with insufficient arch support. A simple test is the footprint arch-height wet test. You place your foot in a small layer of water in a tub before placing it on a piece of cardboard or heavy paper on the floor. Using your entire body weight on the one foot press down until you leave a firm imprint. If you see an entire footprint, you have a low arch. If you can only see half of your foot arch, like a footprint in the sand image, you have a moderate or normal arch. And just seeing the heel and ball of your foot with almost none of your arch means you have a high arch. What Are the Benefits of the Best Arch Support Insoles? Well-fitting, appropriate footwear with orthotic insoles can help prevent many problems that can result from overpronation or underpronation. Pronation is how much your foot rolls inwards or outwards when walking or more commonly running. When an individual overpronates, the foot rolls inwards to a greater extent in a normal stride. People with lower arches should choose an insole with motion control features which can give extra stability on the inside of the foot. Where the arch collapses should be supported to prevent excessive inward rolling. Underpronation or supination is when the foot rolls outwards during the foot strike. High arches can cause the foot not to give enough during the stride with all the weight transferred to the outside of the foot. High arches benefit more from cushioning which absorbs the shock and impact on the feet—they also normally have a curved shape which encourages the foot to roll more inward. Another way to improve your foot arch and reduce the pain is through exercises which target the arch of your foot. The following YouTube video suggests simple exercises which can strengthen your foot arch. Which Are the Best Arch Support Insoles? Now you know how proper arch support can benefit your feet, let’s take a closer look at some top-selling best arch support insoles. 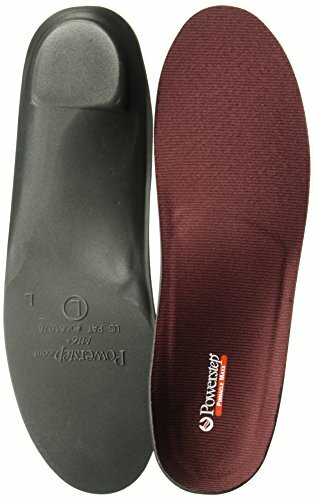 Power step Pinnacle Maxx insoles feature a uniquely designed heel with a mildly angled platform for maximum support and are ideal for more severe pronators. Variable Cushioning Technology makes these insoles as comfortable as they are supportive. The higher instep than many other insoles may require a breaking-in period to get used to them. EVA foam cushioning with full arch support. Angled heel wedge for greater control. Deep heel cup for stability. Antimicrobial fabric wicks away moisture and heat. Will take time to get used to these insoles. Pricing can be expensive dependent on whether or not your size is at sale prices. 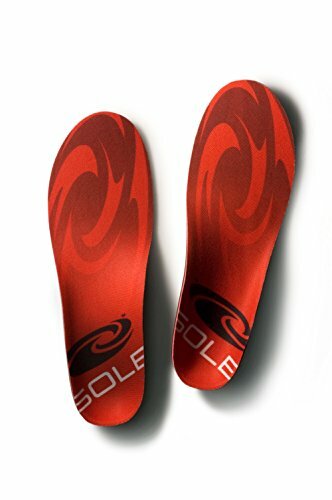 When you first receive these insoles, they’ll be one of the highest and most rigid arches you can find. But if they’re a little too aggressive for your feet, you can warm them in the oven to mold them to your arches. If you want to feel a robust arch through the entire center of your foot and not just towards the heel, this rigid insole is perfect for you. A thick layer of cushioning added to the top provides great comfort with molding making sure the comfort hits the right spot. Moldable for maximum support and comfort. Very high arch at first. 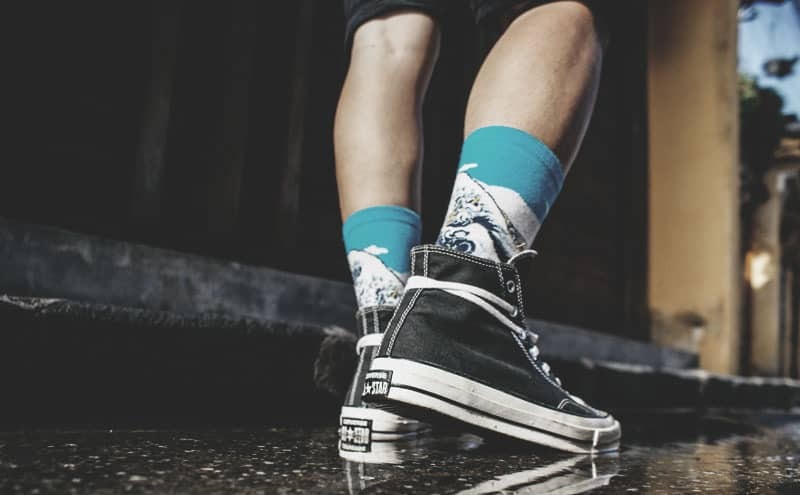 Odor protection with polygiene permanent active odor control. Thick and won’t fit in many shoes. Too rigid for some customers. These high-arch support insoles are a perfect solution if you suffer from flat feet, runner’s knee, shin splints or Achilles tendonitis. 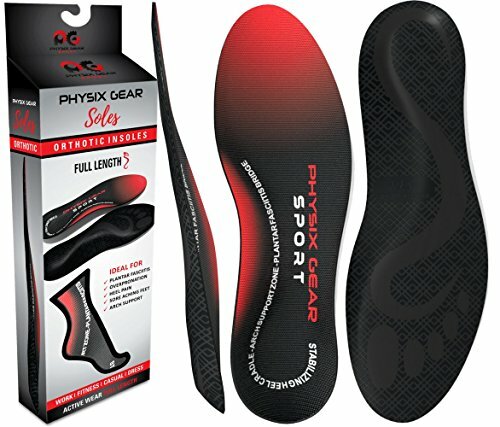 Physix inserts will relieve metatarsal arch and heel pain while correcting abnormal walking patterns. Dual-layer cushioning uses a durable EVA foam base with Variable Cushioning Technology for long-lasting comfort and targeted cushioning. A semi-rigid arch support and deep heel cup provide additional support and stability when on the go. What we particularly liked was the ergonomic non-slip design which provides more support for correct foot posture as well as the arch. Low profile and ultra thin design. Uses top-quality dual-layered EVA foam for added robustness. Corrects any pronation and poor posture of the foot. Only five sizes available with cutting down affecting the structure of the insole. Too hard for many customers with not enough cushioning. 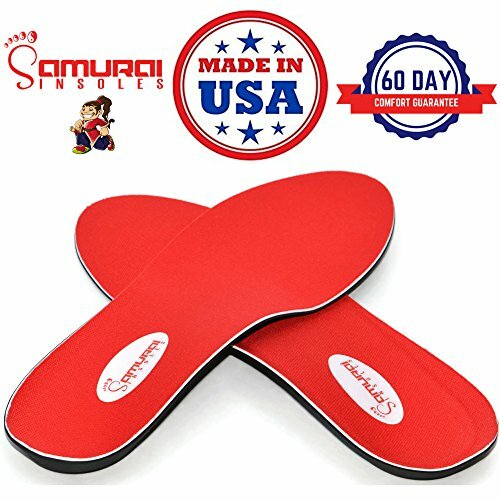 Unlike many other insoles that require cutting down or trimming, Samurai insoles follow conventional shoe sizes to save you the guesswork. While many popular inserts are meant for running or athletic shoes, these have been made especially for work boots or shoes. These biomechanically designed arch-support inserts are ideal for flat feet or fallen arches to relieve soreness or fatigue. A springy flexible inner core rather than foam or hard plastic provides support to the arch, absorbs shocks and molds to your feet as you walk. Versatile fit for any shoe with no trimming required. Soft lightweight material provides cushioning to the heel. Flexible inner core molds to your feet. Supports low or fallen arches. Thinner and offers less padding than other insoles. Doesn’t offer much high-arch support. Many customers have reported issues with durability—need replacing after only a short period. The three-quarter length design of the Plantar series of insoles allows for more room in the toe box for a comfortable fit in any casual, athletic or dress shoe or boot. The insoles can be trimmed to provide a custom fit with a non-slip heel making sure it stays in place. A podiatrist-designed support features a semi-rigid arch support and heel cup for support and stability. Made with a durable, antimicrobial material, the insoles will repel bacteria for an odor-free shoe. Great for plantar fasciitis and flat feet. Podiatrist design with semi-rigid arch. Non-slip fit with more room at forefoot area. Non-slip heel often comes loose and leaves a sticky residue on shoe. Many customers find the low profile design too thin and not offering enough cushioning. Although they may take some getting used to, especially if you’ve never worn orthotic insoles before, in our opinion the Pinnacle Maxx Full Length Orthotic Insoles are the best arch support insoles. Variable Cushioning Technology, a firm arch support and an angled exterior heel platform make these ideal for people with low or fallen arches. Once you’ve got used to them, you’ll wonder how you ever managed without them.